The hazard of engaging a grandiosity addict is that you will likely be reduced to furniture in the scene. This should have been understood as early as November, when the pageant of visitors began streaming into Trump properties to meet the President-elect—blond Kanye, the millionaire turned supplicant Mitt Romney. 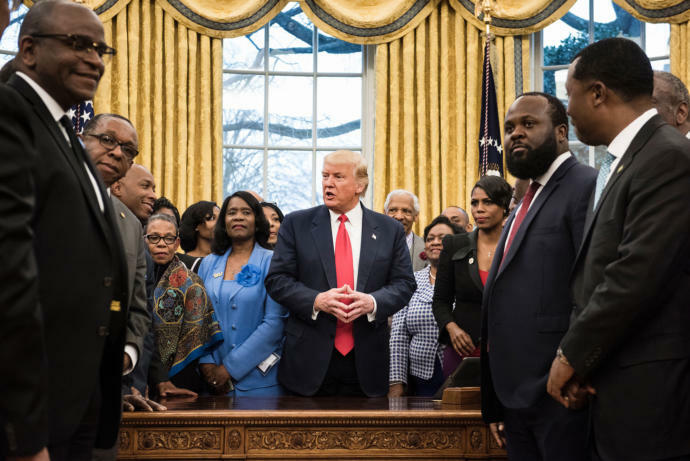 We had cause to recall that lesson on Monday, as President Trump held an Oval Office meeting with the presidents of historically black colleges and universities. In photos, the blond man seated at the Resolute Desk is smiling; the sixty-four black men and women surrounding him look like human décor. The photo was, on some level, the price of admission. 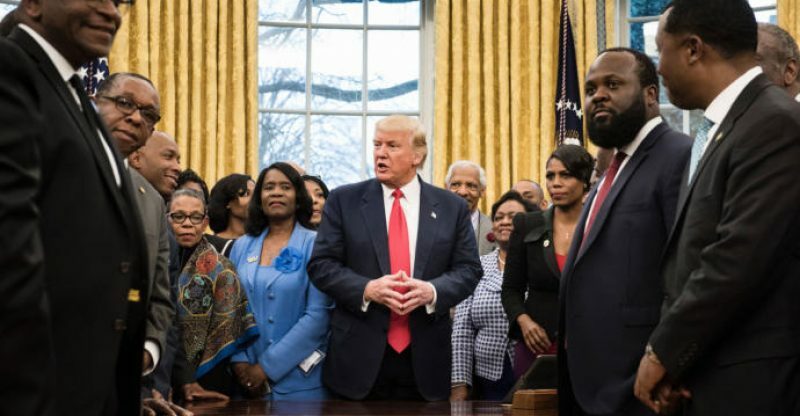 The President, who trotted out his Jewish son-in-law to deflect charges of coddling anti-Semites and used his daughter as a shield from charges of sexual harassment, could not be expected to overlook the social-media value of photos with representatives of black colleges. The expectation among those who gathered in the White House was that Trump might follow through with an executive order allocating more resources to these perennially embattled institutions. Last December, many of the college presidents attended a meeting of the National Association for Equal Opportunity in Higher Education, in Atlanta. Omarosa Manigault, now a communications director for the White House, addressed the gathering on behalf of the incoming Administration. According to one university president who was present, Manigault, who is a graduate of Central State University, in Ohio, and of Howard University, both historically black institutions, promised to push for additional support for the more than a hundred black colleges and universities in the United States. The pledge had particular resonance given the ambivalent relationship these institutions had with the Obama Administration. In 2008, Andrew Young, the civil-rights leader and former mayor of Atlanta, pointed to what he took as a lack of regard for H.B.C.U.s by Obama. Young complained about the dearth of representatives of those institutions in the Administration, saying, “They just don’t understand H.B.C.U.s.” Those concerns gained more support when, in February, 2010, Obama issued an executive order declaring support for the schools and providing more funding for them, but declined to take up the college leaders’ request that the Initiative on Historically Black Colleges and Universities be moved from the Department of Education to the White House. Even Obama’s rhetorical support for black colleges served to complicate his relationship with them, as in the commencement speech he gave at Morehouse College, in 2013. In that speech, Obama mixed praise for the young graduates’ achievements with a critique of paternal irresponsibility and excuse-making—comments that many noted he would not have made at a similarly rigorous and respected majority-white institution. The college and university leaders at the Atlanta meeting wanted, among other things, to repeat their request for the initiative to be brought back into the White House, where it would have to move through fewer layers of bureaucracy than it does at the Department of Education. But the invitation to speak with Trump this week provoked a dilemma for many: they would likely be photographed beside the man who spent years delegitimizing the first African-American President, who recently thanked black people for not coming out to vote in the Presidential election, and who refused to recant his decades-old statement that the Central Park Five deserved the death penalty, despite DNA evidence and a confession that established their innocence. Some who decided to attend did so because they feared alienating both a President with a vindictive streak and Manigault, who reportedly told the White House correspondent April Ryan that the Administration was keeping lists of its enemies. The photograph predictably generated a backlash in particular quarters of black America, most sharply against Howard University’s President Wayne Frederick. The day after the meeting, graffiti appeared on a pathway in the center of the Howard campus: “WELCOME TO THE TRUMP PLANTATION. OVERSEER: WAYNE A. I. FREDERICK.” An image of Frederick smiling meekly at a different event was circulated on Twitter, with the implication that this had been his demeanor during the visit to the White House. 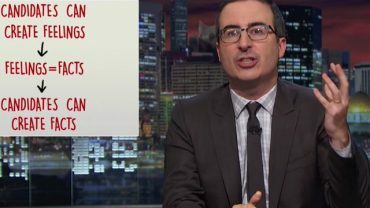 Yet Howard was particularly vulnerable in that moment: it depends upon an annual allotment from the federal government—two hundred and twenty-two million dollars last year—for a large portion of its operating budget. On the heels of her contentious confirmation, Education Secretary Betsy DeVos visited Howard in a transparent attempt to generate positive publicity (the following day, a group of protesters briefly prevented her from entering a middle school in Washington, D.C.). But the Education Secretary is a member of Howard’s board of trustees, guaranteeing her a civil reception on campus. Something of the same dynamic was at play in the Trump meeting. In many respects, it was naïve to hope that the Trump Administration would display munificence toward black colleges; it owes its existence to voters who feel that minorities have been given too much already, and it appears to be authoring the stingiest federal budget we have ever seen. The photo of Trump with the presidents of black institutions had an archival quality not even twenty-four hours after it was taken: a portrait of a crowd that does not yet know it has been played. It confirmed the meaningful role that photographic evidence has in Trumpism: he accessorizes with crowds and possesses an unyielding appetite for photography as validation. (This is part of why he was unable to move beyond the images of his diminutive crowds on Inauguration Day.) As for the leadership of the schools, this moment is instructive. They know, or ought to know now, with whom they are dealing in the White House. The historically black educational institutions in this country are as diverse as black America itself, varying in size, mission, culture, and prestige. But they are bound by a common economic vulnerability that cannot be separated from the history of race in this country. The Howard students who expressed anger that their university president had met with Trump were right: if Frederick could be compromised by the new Administration, then so could the university, and so could the claim to collective dignity that is its reason for existence. But that anger was less the product of Wayne Frederick’s decision to visit the Trump White House than it was of the damning circumstances that left him no choice in the matter.